Liberia! A lush, beautiful country which has been ravaged by decades of civil unrest, reducing it to one of the world’s poorest countries. It is also the beginning of the Gathering Together story in Africa. It all started when Ian, the Co-Founders’ son, partnered with his best friend, Sam, as they were about to turn 10 years old. 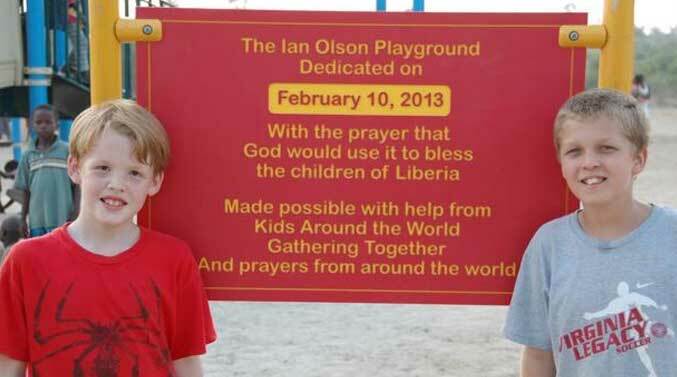 They fought against all odds to bring a playground to the children of Liberia. That project started in 2012. It has grown, branched out, and birthed the love affair the Olson family has with Liberia. It also impacted the hearts of the village of SackieGbomoh, where the first playground was built. The village has officially adopted the Olson family into the hearts and lives of the community. There are now 4 playgrounds built with our partners in Liberia. We help support Refuge Place Clinic in Montserrado County, and Waterfield Primary Care in Margibi County. Gathering Together is expanding the school in SackieGbomoh, which we will be handing over to the community in June 2018. We had an amazing team come to Liberia in July 2017 to paint a mural around playground #1 and inspired the school expansion. These ladies then returned home and have been instrumental in raising funds to provide backpacks, uniforms, and school supplies for the students that will start at the new school in 2018. Gathering Together is now officially registered in Liberia. We are happy to announce our new team members who have joined the Gathering Together family. 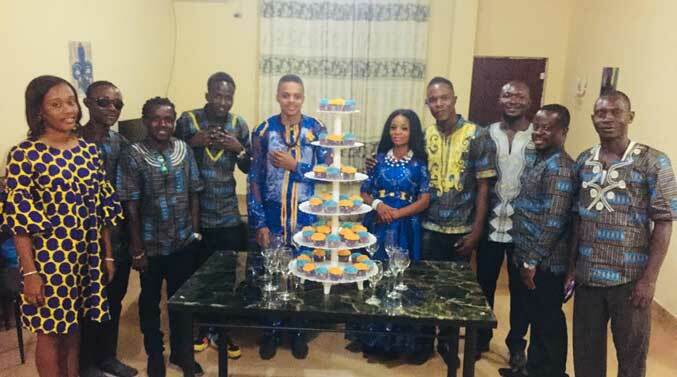 We eagerly and joyfully anticipate the restoration of many lives, families and communities, through the zeal and expertise these young men bring to the GT-Liberia team. Please join hands with us to help us alleviate the evils of poverty in this land which has seen much pain and injustice. Help us to bring empowerment through health outreach, education and development. Help us to bring smiles to the children through building playgrounds in every county. Join us by visiting Liberia and providing needed skills, for a short stay or one of a longer duration.